Scientific interests: money, credit and currency policies, their role in stabilizing the national economy; control and monitoring functions of the National Bank. The Credit Economic Faculty was created by initiative of the Ukrainian Stateparticipating Bank of the USSR and university administration of the Ternopil Financial and Economic Institute in 1978 on the base of two groups of specialization "Credit” which studied on a Financial and Economic Faculty and two groups of specialization of "Accounting in the banks” which studied on Accounting and Economic Faculty. It follows to consider the official date of faculty creation by signing an order the Ministry of higher and secondary special education Ukrainian SSR № 172 from May, 22, 1978, which provided for creation Credit Economic Faculty in composition of Ternopil Financial Economic Institute from September, 1, 1978. The order № 137-k from June, 5, 1978 "About opening of Credit and Economic Faculty and partial changes in working curriculum” was given out the rector of Ternopil Financial Economic Institute, professor Hymenjyk P.D. on founding of order of Ministry of higher and secondary special education Ukrainian SSR. speciality "Finance, banking and insurance"
Specialists for educationally-qualifying level ”Specialist” and Master’s Degree are preparating by speciality "Banking Business” and program of Master’s Degree "Analytical economy” on Faculty of Banking Business. ‒Educational-Experience Center of history of money. The strategic aim of Faculty of Banking Business is preparation of skilled and competitive specialist in the field of banking business and credit system that largely can be attained due to realization of four tactical aims. First of them, it is a high level of professional preparation of future bankers and specialists of credit and financial institutions, the leading role in the achievement of that are played our departments, further development of material base and close collaboration with employers. Second an aim consists in that, to provide the proper volume of knowledge, abilities and skills of graduating students in the field of knowledge, abilities and skills of graduating students in the field of modern information technologies without a capture that successful activity is impossible at the financial and credit market. The third aim is substantial improvement of language preparation of our students that predefined by both expansion of spheres of international activity of economic subjects and deepening of contacts with foreign educational institutions. A fourth aim of faculty sees in forming to personality of student who will be able to make decision and execute them, able to intermingle with people, to convince and organize people for realization of activity. Coming from it the faculty of Banking Business aims to develop independence, organization capabilities and creative making of our students. Graduating students after speciality "Banking” must be able to apply gain knowledge and use the acquired habits in organization of banking activity on practice for providing of profitability and efficiency of banking capital, progressive technologies of economic and accounting and operation work, forms of mobilization and commercial use of money resources, expansion of banking services in conditions of competition. Our graduating students can work as economists, specialists of different categories, chiefs of departments and their deputies, leaders of branches, separations and representative officers, directors, chiefs of managements and their deputies on all levels of banking systems and unbank financial and credit institutions. The main role is taken to productive practice in the process of studying. The commercial banks, the structural subdivisions of National Bank of Ukraine, credit unions and other institutions and organizations of unbanking system are the base of practice. The Faculty of Banking Business is providing all of our students by the bases of practice. The cell of the youth advanced study is the student scientific society of Faculty of Banking Business. It unites the chairmen of scientific groups and problem’s groups at the Departments of Faculty. On the whole student scientific society of Faculty of Banking Business counts over 100 students of different courses and specialities. Two scientific groups are functioning at The Department of Banking Business – "Banking Analyst” and "Money Paradigm” and also scientific group "Banking managers ” at the Department of Banking Management and Accounting. The participants of scientific groups are investigating the most various aspects of modern money, inflation, organization of banking business, investing, banking management, operation activity and accounting in bank under the direction of lecturers of Departments and their active assistance. The student’s self-government on the Faculty of Banking Business is one of the best in our university. The student’s dean which is chosen by student’s community, the chairman of student’s council which is chosen by student’s meeting, and student’s trade-union leader are leaders and connecting link with guidance in this activity. 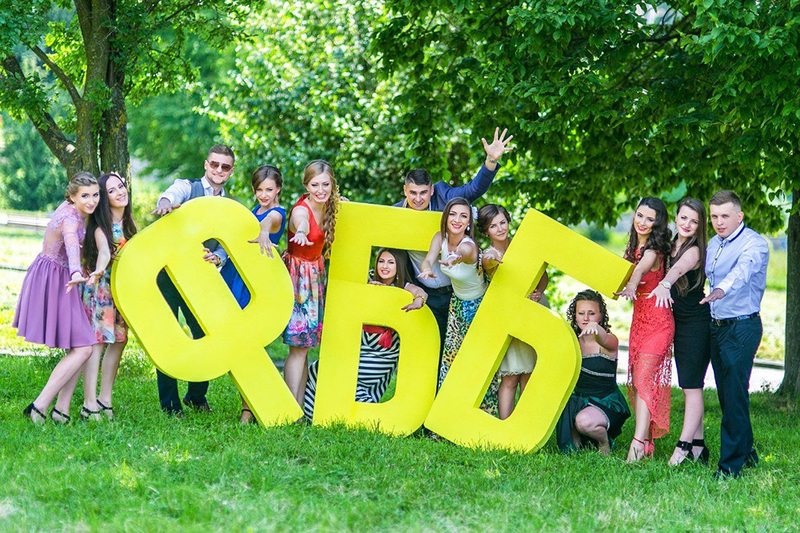 The help, elucidation and decision of the questions related to the studies, discipline and leisure of young people of Faculty, defence of interests of students-orphans, and also young people from having many children, of scanty means families are their duties. They are leaders of committees and commissions which consist of students-activists of Faculty. The student’s club "CROCuS” (The STEP to Indendence) is functioning on the Faculty, which is counting more than 40 future specialists of banking business, young lectures of Departments of "Banking Business” and "Banking Management and Accounting”, students from other universities and institutions. The club is organized with the aim of all-around development and self-realization of students, conduct activity which heads for the receipt of knowledge, abilities and skills after interests, providing of necessities of personality in creative self-realization and organization of leisure. There are quite a bit kind businesses on the account of participants of club. The activists of club worked out hymn, flag and colors of Faculty. The informative corner with small box for the student’ reports is set for connection with dean’s office. Different evening’s party on initiative of participants of club are conducted on the Faculty such as St. Nicolas, St. Valentine; discos (Student’s Day); discussions, viewing of theatrical performance and films and preparation for the interfaculty competitions (Student’s Lyra, Student’s Spring, KVK). The activists of club are giving suggestions to the dean’s office in relation to planting of territory and arrangement of block. The participants of club "CROCuS” have only goal to prove that between students of all courses and different interests can be sincere friendship, mutual understanding and help only in case that in their hearts settle goodwill and everyone will understand that his fate depends only on it.